Aston Martin has revealed a teaser image of its Lagonda All-Terrain concept heading to the 2019 Geneva Motor Show. Lagonda is a revised brand name which will now be an all-electric luxury arm of Aston Martin. 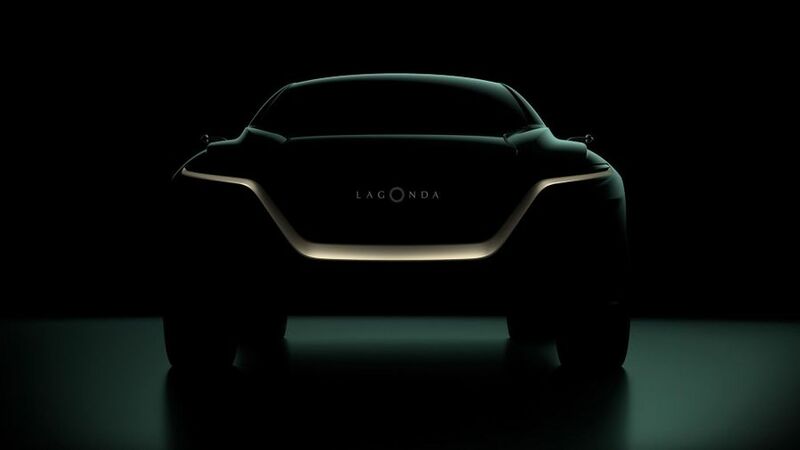 Although the Lagonda All-Terrain concept is all electric, it will rival the likes of the Bentley Bentayga and Rolls-Royce Cullinan, along with the Tesla Model X.
There’s not much to go on from the image, but you can see that the car is a large SUV, and also features some of the design cues from the Lagonda Vision Concept that Aston Martin debuted at the 2018 Geneva Motor Show. Along with the new Lagonda All-Terrain concept, Aston Martin is also bringing its Vantage, DB11 AMR and DBS Superleggera cars to the 2019 Geneva Motor Show stand. The Vantage and DBS Superleggera have been personalised by Aston Martin’s bespoke Q service.